Having been recently linked with a move to Juventus, Italian international striker, Giuseppe Rossi, reportedly is opening a door for another team to compete with the Turin giant as the player’s agent, Federico Pastorello, revealed that Napoli might also be an option for his client. The agent stated that the Partenopei is one of the club that his client would love to join in Serie A especially with their latest success in reaching the Champions League next summer. 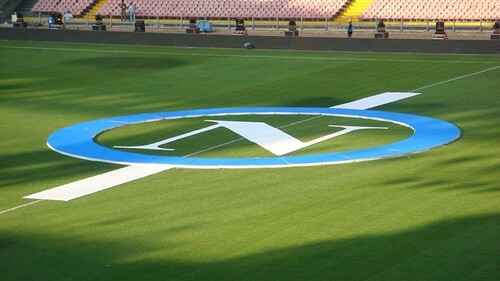 Joining Napoli, who are also building a pretty strong squad to compete in all fronts for the upcoming season is surely something might be more interesting than Juventus as the Southern Italian based squad can offer high competitive football than the Turin giant. However, Pastorello also stated that the Partenopei have a disadvantage compared to Juve in terms of wages structures as the agent believes that the Naples outfit would have an issue in paying Rossi’s demand. This statement would probably alerted Juventus’ management, who reportedly have just had a meeting with the player’s agent recently, to immediately made their decision about Rossi, considering that not only there would be competition from teams outside of Italy but even in Serie A there are also other options. The Turin club reportedly are still confuse in deciding whether they should still hope for Sergio Aguero or simply move their sights towards the young Villareal striker. Beside Juventus and Napoli, Rossi also attracted other important clubs such as Barcelona and also Tottenham Hotspurs, while the Catalan club reportedly already turned their eyes on another player, the London outfit are still interested on the Italian. One thing for sure, the American born striker will be one of the most hot transfer property this summer, considering the fact that Villareal seems willing to let the player leave, despite the ex-Manchester United striker has become an important act for the Yellow Submarine.